Roy Zimmerman is bringing his show RiZe Up” to JRUUC on Saturday May 5th at 7:30PM. Tickets are available at the door for $22 or pay what you can. Roy Zimmerman is a musician and satirist who has traveled the world and shared the … read more. March is our Annual Budget Drive, and our theme this year is “Woven Together”. Please use the fabric strips in the basket to add to the tapestry in our foyer! There are three important changes this year to our Annual Budget Drive this year. 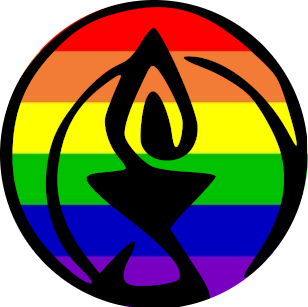 Happy 25th from UUA President Susan Frederick-Gray! Check out a recent video greeting from UUA President Susan Frederick-Gray, regarding our congregation’s 25th anniversary celebration! Join us for an all-ages worship, featuring hymns, stories, and candles, to celebrate the story of Jesus’ birth. Doug Erickson will provide the music. Our annual winter solstice celebration in story and song will be brought to you by members and friends of the JRUUC choir, led by Heather Yonker. This beloved annual event has gained praise and popularity in the community. We invite you to join us for … read more. A public memorial for beloved member Tom Kemble will be held on Sunday, Nov. 18, 2018, at 3 p.m. at Warner Park Community Rec Center. If you didn’t know him personally, you can read this beautiful tribute to his life.